Deposit taking housing finance compnay, DHFL, has reported a 37 per cent decline in its profit after tax (PAT) in the third quarter of FY 19 to Rs 313.6 crore from Rs 495.4 crore in Q3 FY 18. The net interest income of the company has jumped 20 per cent to Rs 752 crore in Q3 FY 19 from Rs 629 crore in Q3 FY18. Provisions of the company saw a 70 per cent rise in the quarter ended December 2018 to Rs 132 crore from Rs 78 crore in the same quarter last year. The housing finance company was one of the worst hit when the beleaguered IL&FS group defaulted on debt payments and there was a situation of liquidity freeze int the sector. The company has said that it will infuse capital to the tune of Rs 2,000 crore by March 2019 and this will bring down the company's leverage from 9.27 to 7.5 times. “Our liquidity projection till March 2019 and over the next 12 months, has been built on the strength of rebalancing the portfolio, effective leveraging of securitization capability as well as generating renewed trust in originating retail home loans in a calibrated manner”, the company said in a statement. This will ensure that company is able to maintain cash and investments in excess of 9 per cent of total borrowings. Return on Assets (RoA) saw a decline in third quarter of FY 19 to 1.21 per cent from 2.40 per cent in Q3 FY 18. RoA was 1.66 per cent in the second quarter of FY 19. The provisioning coverage ratio, which is the percentage of bad assets that has to be provided for, of the housing finance company was reported at 87.1 per cent. The gross non-performing assets of the company stood at 1.12 per cent in the third quarter against 0.96 per cent. The company said it has mobilized funds to the tune of Rs 16, 290 crore between September and December 2018. 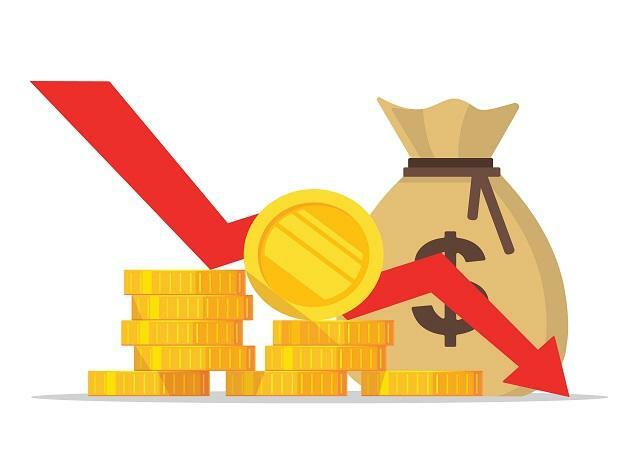 Out of the total funds raised, Rs 11, 873 crore was from sell down of retail loans, which included home loans, loan against property and SME loans and Rs 2,750 crore from non-convertible debentures. Also, the housing finance company discharged of liabilities to the tune of Rs 17,876 crore. This includes Rs 9,965 crore of commercial paper repayments and Rs 5,963 crore of bank, external commercial borrowing and NCD repayment. The net worth of the company increased to Rs 10,753 crore in Q3 FY 19 from Rs 9,329 crore. The shares of the company closed 1.31 per cent higher at Rs 209.20 on the BSE.